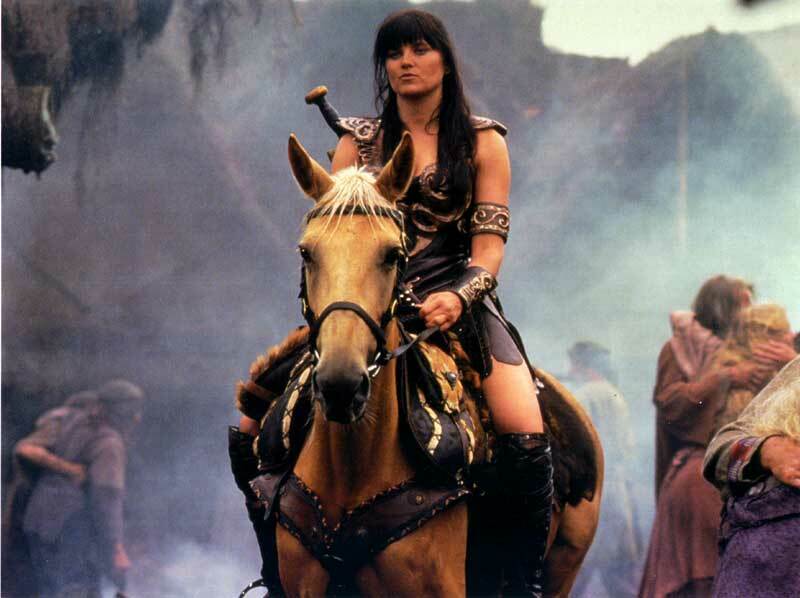 The character of Xena:Warrior Princess, rode a palomino mare named Argo. The main cast horse playing Argo was named Tilly. Her coat color varies across the series, changes which can be brought about by stabling, blanketing or nutrition. © Renaissance Pictures.